Indonesia's Top Literary Agent says, Think Books, Not Bali! Cookbooks, such as this one published by Gramedia, are a popular category with foreign publishers buying rights from Indonesia. Thomas Nung Atasana, Indonesia’s leading literary agent, argues that the archipelago’s authors and publishers deserve international attention. Indonesia is the Guest of Honor at this year’s Frankfurt Book Fair and will have, for the first time, an international showcase for its burgeoning literary talent. But knowing the who, what, where, why and how of working with this fast-growing market can be tricky. That is just one of the reasons Publishing Perspectives and the Frankfurt Book Fair are co-hosting the The Markets: Global Publishing Summit — a new event that will offer insight and opportunities for those who want to meet the people who can get things done for you in seven key marketplaces, including Indonesia. One of those on hand to meet potential clients will be Thomas Nung Atasana, who is a featured market “player” from Indonesia speaking at the event. As the International Rights Director the Borobudur Agency — which operates under auspices of IKAPI, the Indonesian Publishers Association — his role is to promote and sell rights to Indonesian books abroad. Atasana started in the book business in 1981 by joining Kompas Gramedia, the largest media group in Indonesia. After working as a book editor for several years, he was elevated to the role of editor of Gramedia Pustaka Utama — one of the leading book publishing companies in Indonesia. In 1995 he switched positions, moving into marketing, where he was responsible for the domestic market and some overseas territories. Then, in 2009 he developed an international marketing program, which included licensing copyrights for Indonesian content abroad, mainly those published by Kompas Gramedia. “The Borobudur Agency is the first and only literary agency to offer Indonesian publishers and authors the opportunity promote and license their copyrights abroad,” he says. Despite having a virtual monopoly, there remains a big challenge: Indonesia’s cultural capital is still largely unknown outside the immediate region and Indonesians are themselves geographically remote. 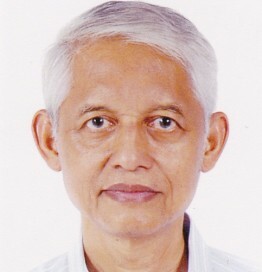 Thomas Nung Atasana is a featured speaker representing Indonesia at The Markets: Global Publishing Summit at the Frankfurt Book Fair on October 13, 2015. But, he adds, there is also growing interest from further afield, including from Germany, the Netherlands, France, Italy, Spain, UK, USA, Turkey and Korea. The interest, he says, is being fueled by a growing number of young fiction writers, many of them who are more female than male. “At home, they are very active in using social media, they are tapping into the many communities of books lovers, and winning fans as their loyal readers.” The most challenging markets he identifies for Indonesian books are China, the Arab World and South America. As for advice to foreign publishers looking to work with the Indonesian book industry, he suggests starting by looking at the work of the three large book publishing groups — Gramedia, Mizan and Erlangga — to get a better overall picture of the business in the nation. “They represent the achievements of the Indonesia book market,” he says.